Advocates of seatbelt free driving are hailing the results of the largest study ever done of driving without a seatbelt. Investigators compared 16,000 women who drove without a seatbelt to the grocery store to 16,000 women who were wearing a seatbelt on the drive to the grocery store and found that the number of deaths was very similar. In fact, for experienced drivers driving to the grocery store, fatalities were the same. only if there were no other cars on the road during the entire route. the results were very similar. Of note, the authors found a surprisingly high rate of drivers changing their minds. 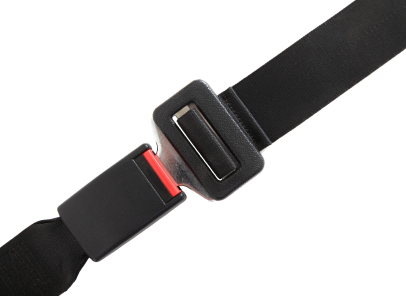 Between 36-45% of first time drivers actually ended up wearing a seatbelt even though they had planned not to do so. A far smaller number, 10-15% of experienced drivers also wore seatbelts even though they had not intended to do so. The study was conducted by Seatbelt-Free America, a consortium of auto manufacturers who have long argued that the requirement to put seatbelts in all cars adds needless expense and results in only minimal benefit. This, the largest study of its kind, demonstrates that all women should be offered the choice of buying a car without seatbelts. Of course, women should receive adequate counseling from their auto salesman, about the slightly increased risk of fatal outcomes among first time drivers, but it they elect to buy a car without seatbelts, that it their decision. The risk of a fatal accident was very low in both groups, suggesting that driving to the grocery store with or without a seatbelt is extremely safe. The additional protection afforded by wearing a seatbelt was relatively trivial, just a few deaths avoided per thousand drivers. During the press conference, a reporter asked if this study of seatbelt use restricted to driving to the grocery store during daylight, in the absence of rain, on roads that had no potholes, and only if there were no other cars on the road during the entire route was generalizable to the population at large, given that many drives are far longer, it is often raining, many roads have potholes and there are usually other cars on the road. This piece is a satire on the response of homebirth advocates to the recently published Birthplace Study. ← Real message of Birthplace Study? Don’t trust birth! your all great explanation, I liked reading this.